2015-04-22: Bush bashing or working on the go? 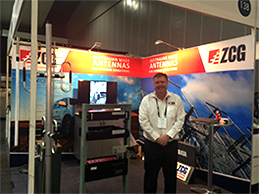 ZCG has your antenna needs covered! ZCG will be closed for business from the 21st December until the 2nd January. Place your orders now for January 2019. Our last order date for in-stock items is the 14th December. Please note: ZCG cannot guarantee courier/transit times and delivery prior to christmas. ZCG would like to thank all of our loyal customers for their on-going support through-out 2018 and on-wards into 2019. ZCG's range of high quality coaxial cables are in-stock and can be dispatched prior to our closure date. Ranging from MIL-SPEC RG58 and RG316 miniature teflon cable, through to RU400 and 1-5/8" Foam dielectric heliax cable, ZCG is sure to stock a cable to suit your requirements. Available in 100-300 metre rolls depending on the cable. Contact your ZCG sales office for more information, price and availability. To match ZCG's range of coaxial cable, our range of high quality cable terminations are also held in stock and can be dispatch prior to our closure date. 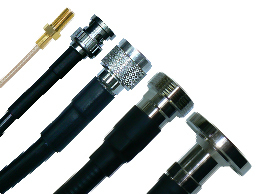 Ranging from MMCX miniature connectors, N-type and UHF connectors through to 7/8" EIA and 3-1/8" EIA, ZCG stock a termination to suit all size cables on the market. Copyright © 2018 ZCG Scalar, All rights reserved.